We are facing a global lack of freshwater. The US Government stated in its National Intelligence Estimate that the impending shortage could turn access to fresh water into a weapon in regional conflicts worldwide. 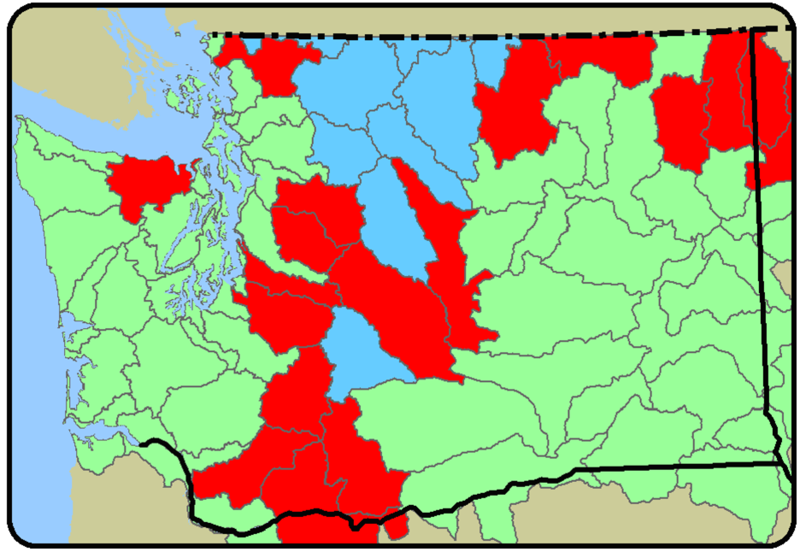 Nor is the Northwest insulated from the impending shortage of freshwater. 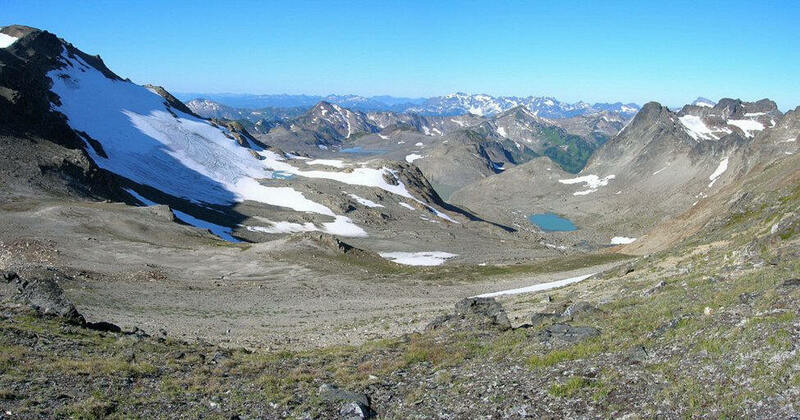 Global warming is already reducing glaciers and snowpack in the Cascades. Indeed, because our reliance on snowpack, which recharges our groundwater aquifers and provides summertime water in our rivers, the Northwest will be acutely affected by climate change. 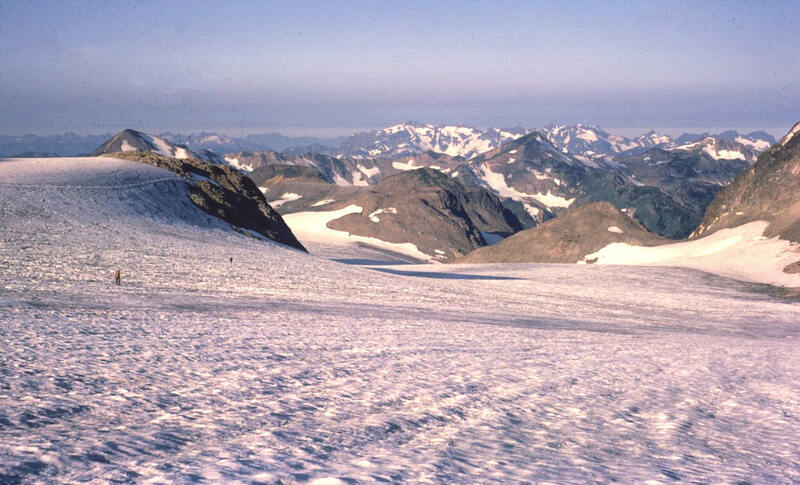 1973 North Branch, Whitechuck Glacier, North Cascades. Neil Hickley photo. 2006 North Branch, Whitechuck Glacier. Leor Pantilat Photo. Snowpack can be thought of as a natural storage system that, as it melts over the spring and summer months, slowly contributes water to streams and rivers in the dry summer months, recharging our aquifers. Increased ambient temperatures mean that precipitation in the mountains of the Pacific Northwest will fall as rain for more months in winter than as snow. Snow is a natural, and very efficient water storage system. 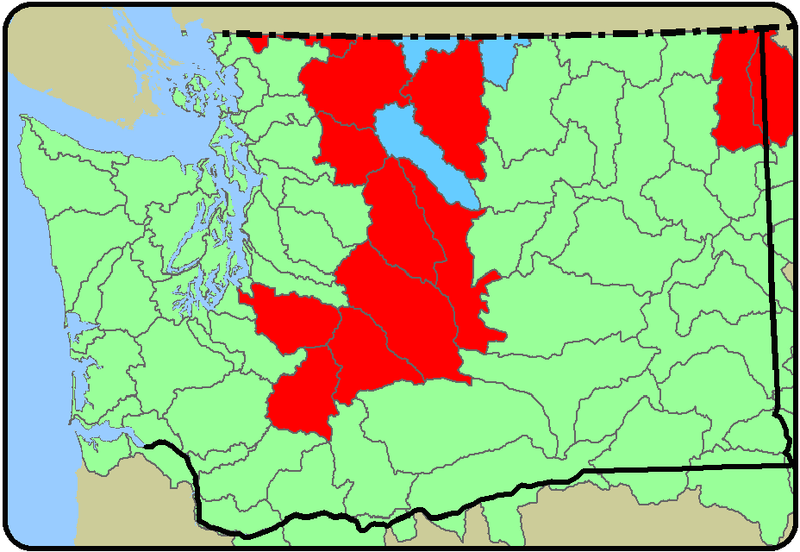 The dense, wet snow that is typical of the Cascades stores more water than the dry snow of the Rockies. Come warmer weather that water is slowly released as the snow melts, just when Washington’s aquifers and streams need replenishing. The University of Washington’s Climate Impacts Group has graphically depicted current Winter precipitation patterns compared to future ones. 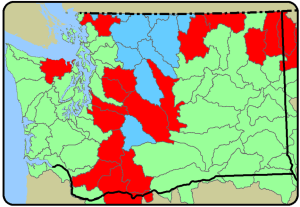 The decrease in blue areas from the map on the left to the one on the right shows that the Cascades will receive less snow over the forthcoming decades. The increase in green areas on the map on the right show that more precipitation will fall as rain. 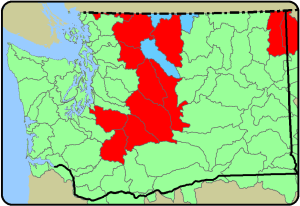 Transition areas, with mixed snow and rain, and little snowpack, are in red. Given our inability to meaningfully change our energy consumption practices, we will be facing a very different water future due to climate change. CELP is committed to advocating for the best water policies now to ensure sustainable water for fish and wildlife, and our children during the upcoming decades of change.